Collective Studio is a full service interior design firm located in Toronto. We provide tailored interior design solutions with a focus on creating aesthetics that tastefully reflect our clients’ style and needs. 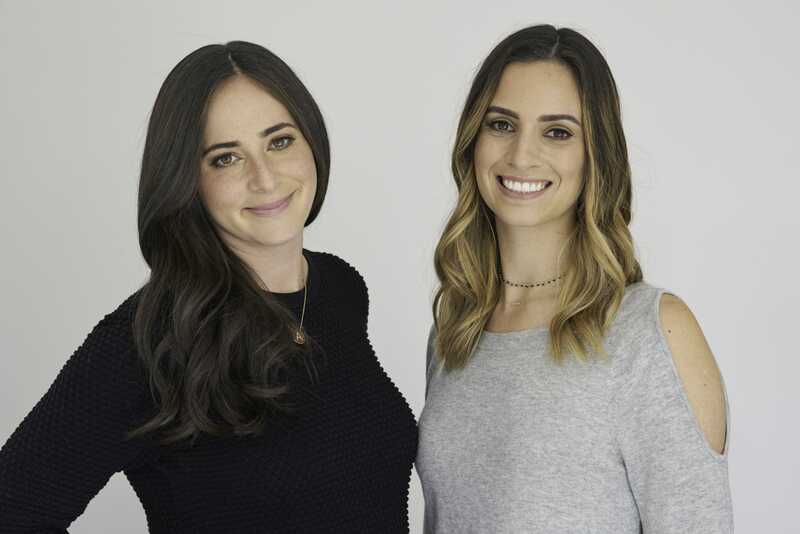 Jordy and Alana were friends for years while each running their own firms, Cabin Co. Design and Alana Firestone Interiors. The two collaborated on a number of projects before officially merging to form Collective Studio in the spring of 2017. As a team, they bring their two unique styles and ideas together to seamlessly reflect the individuality of all of their clients. Ideal Vacation? Spas to relax and recharge + great restaurants and beautiful weather! Ideal Vacation? Cool cities for great food + hotels and forests/mountains for hikes + isolated cabins. I’d love to work with you! How do we get started? We can’t wait to hear from you and learn more about your project! Please feel free to explore our website to learn more about the services we offer (Full Service Design and E-Design) and which is a better fit for you. Feel free to reach out directly with any questions! Do you feature all of your projects online? We feature most of our work on Blog. Anything that we have professionally photographed is featured in our online portfolio. Of course, we respect our clients’ privacy and some do ask that we keep their street name private. Do you take on projects outside of Toronto? Absolutely! We would love to connect with you whether you’re in the GTA, cottage country or even the U.S. E-Design is also a great option for out of town projects, depending on the scope. For projects with a smaller scale and/or budget, E-Design is completely custom, done entirely online and tailored to fit your style, space and budget. To learn more about the process and whether it’s the right fit for you click here. I have a really good idea of what I want for my home but I'm looking for your help pulling it all together. Is it possible to hire you for a couple of hours? At this time we are only available to take on full rooms, but please feel free to be in touch because it all depends on timing. Do you only work with your own contractor or will you work with mine? We are always open to working with our clients contractors and builders. We also have some great ones, that we have worked with on numerous projects, which we are happy to recommend. When I hire Collective Studio am I paying double for both of your time? Absolutely not. You’re getting a 2-for-1 special. Our billing is done collectively between the two of us, so whether or not we are together sourcing or working you only pay our hourly rate once. I live in Toronto and I’m interested in e-design. Will you come to my house to measure and then style everything at the end of the project? Of course. We are happy to do this and bill in addition to the flat fee at our hourly rate. Client-centric, accommodating and detail-oriented, Jordy and Alana are the yin to each other’s yang. We so appreciate their creative direction on how to best maximize our space – they gave us a real “ah-hah” moment over here! Their experienced “eyes” helped us see and map out a super liveable and functional main floor for our little family. They are great listeners and creative problem-solvers. I especially appreciate their openness to my own ideas and am grateful for some of the unique pieces that they found for us and the beautiful, custom work their trades people did to make things so cozy and perfect! Working with Alana and Jordy on our washroom renovations was a pleasure. They have great style but were also receptive to our personal tastes. They helped us choose a great contractor and were involved every step along the way. We love the final product and would highly recommended Collective Studio! Alana and Jordy were extremely responsive, organized and efficient. They listened to what I wanted to my home to look and feel like and were very open to any feedback. At the same time, they gently guided me out of my “design comfort zone” to take risks and trust them. They helped me understand when it was right to “save” or “splurge” and mixed a combination of custom millwork, high-end boutiques with Ikea and Etsy finds. Alana and Jordy stuck to their budget and always gave me options within my price range. I was beyond impressed with how my project came out. I look forward to using them again in the future.